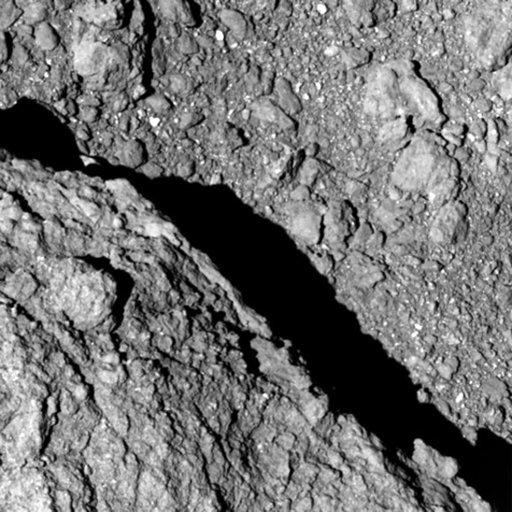 New photos taken on the surface of an asteroid show that it is (drumroll, please) … rocky. It may be no surprise, but Japan space agency scientists and engineers are nonetheless thrilled by the images being sent to Earth by two jumping robotic rovers that they dropped onto an asteroid about 280 million kilometers (170 million miles) away. The Japan Aerospace Exploration Agency posted the latest photos on its website late Thursday. They show slightly tilted close-ups of the rocky surface from different locations. “I cannot find words to express how happy I am that we were able to realize mobile exploration on the surface of an asteroid,” project manager Yuichi Tsuda said on the space agency’s website. It took more than three years for the unmanned Hayabusa2 spacecraft to reach the vicinity of asteroid Ryugu. One week ago, the craft successfully dropped a small capsule with two rovers onto its surface. The rovers, each about the size of circular cookie tin, don’t have wheels but jump around the asteroid. Hayabusa2 is scheduled to drop a German-French lander with four observation devices onto the asteroid next week. It later will attempt to land on the asteroid itself to collect samples to send back to researchers on Earth.